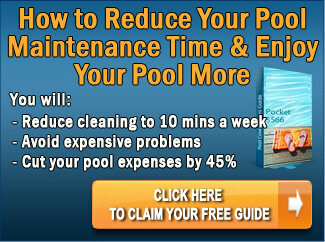 Vacuuming is the only way, unless you have robotic pool cleaner, to remove not only the gunk on the bottom of the pool, but also the microscopic algae spores that have failed to be captured by your pool’s filter system and are, as a consequence, lurking in your pool water just waiting to blossom into life. The process, though, is pretty straightforward. How Often Should I Vacuum the Pool? You should aim to vacuum your pool at least once a week. Skimmers are only capable of removing leaves, dirt, and debris that are floating. Most debris that enters a pool floats for 3-4 hours, but after that it sinks to the bottom. A vacuum head. There are 2 types: heads for concrete or tile lined pools which are equipped with wheels; heads for vinyl lined pools which have brushes. If your pool uses a sand filter, the following are the steps. 1. Remove Large Leave or Debris. Before you begin to vacuum, use a scoop net to remove any particularly large leaves or debris that might otherwise block the vacuum head or hose pipe. 2. Attach the Vacuum Head to the Telescopic Pole and Hose Pipe. 3. Flood the Hose Pipe With Water. Submerge the hose and allow it to flood with water. The point is to remove trapped air that may otherwise be drawn into the pump and create an air block. Pro tip: hold the hose next to the return outlet to quickly fill the hose with water. 4. Attach the Hose Pipe to the Skimmer or Dedicated Suction Port. 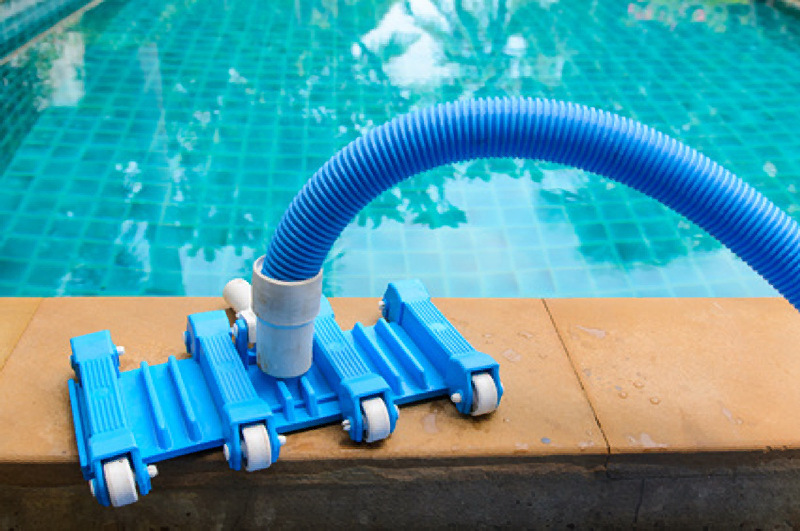 If your pool has a dedicated suction port, attach the hose to it. If your pool doesn’t, vacuum the pool with the skimmer. With most skimmers you need to remove the basket in order to attach the hose. The hose port is located at the bottom of the skimmer. 5. Vacuum the Pool. Using the telescopic pole, move the vacuum head slowly and deliberately across the bottom and sides of the pool. 6. Disconnect the Hose Pipe from the Skimmer or Dedicated Suction Port. After disconnecting, you can dismantle the vacuum equipment. 7. Turn Off the Pump. 8. Backwash. Turn the filter valve to the Backwash position. The sand inside a sand filter system blocks debris, dirt, and oil. The backwash reverses the flow of water and expels the dirty water via a waste line into the ground or drain. Turn on the pump and backwash for 2 minutes or until the water in the sight glass (located on the filter) runs clear. 10. Rinse. Turn the filter valve to the Rinse position. 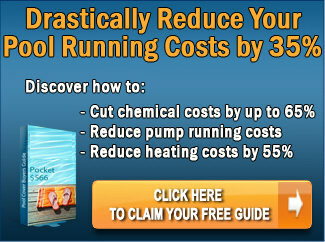 Turn on the pump and run the rinse process for 1 minute. 11. Turn Off the Pump. 12. Clean the Filter. Close the skimmer valve, and empty the filter skimmer basket and clean out the hair catcher. When you’re finished, reopen the skimmer valve. 13. Reset the Filter Valve to Filter and Turn On the Pump. If your pool uses a diatomaceous earth (DE) filter, the following are the steps. 1. Proceed with Steps 1-7, Above. Set the filter valve to Backwash. Turn on the pump and backwash for 2 minutes. Turn off the pump. Set the filter valve to Filter. Turn on the pump and filter for 30 seconds. Turn off the pump. Set the filter valve to Backwash. Turn on the pump and backwash for 90 seconds. Turn on the pump and filter for 20 seconds. Turn on the pump and backwash for 60 seconds. 9. Replenish DE Powder. Usually this is done via the skimmers. Follow the manufacturer’s instructions. If your pool uses a cartridge filter, the following are the steps. 8. Rinse Clean the Cartridge. Turn off the pump, remove the cartridge from its housing, and rinse/hose it off. Once cleaned, replace the cartridge, and turn the pump back on. If your pool filter system includes a multiport valve, it is possible to vacuum the pool by-passing the filter entirely and send the vacuumed water directly to the drain. This is both desirable and advisable when the pool contains a particularly high level of dirt, and especially when the water has an algae problem. Live algae easily passes through the filter media and re-enters the pool. And the same goes for dead algae following a shock treatment. A typical multiport system has 6 different settings – Filter, Backwash, Rinse, Circulate, Closed, and Waste. 1. Proceed With Steps 1-5, Above. 6. Turn Off the Pump. 7. Turn the Multiport valve setting to Waste. 8. Turn On the Pump. 9. Turn Off the Other Skimmer Valves. If you have more than one skimmer, turn off the valves to all but the one into which your vacuum hose is plugged. 10. Close the Main Drain Valve So it is Half Open. 11. Vacuum the Pool. Move the vacuum head slowly and deliberately across the bottom and sides of the pool. 12. Turn Off the Pump. 13. Disconnect the Hose Pipe from the Skimmer or Dedicated Suction Port. After disconnecting, you can dismantle the vacuum equipment. 14. Empty the Pump Basket. Close the skimmer valve that your hose was attached to, then empty out the pump basket. When you’re finished, reopen all the skimmer valves and reopen the Main Drain. 15. Reset the Filter Valve to Filter and Turn On the Pump. Note: because vacuuming to waste flushes water straight out of the pool, you may need to top up the pool water when you’ve finished. In this case, you need to test and correct the pH and chlorine balance. Click here for a guide on different ways to test your pool water. I think it’s interesting that you need to turn off all of the pumps before you vacuum the pool. Our neighbors have a pool, and they have been cleaning it for weeks now. I will have to see what they are doing to it, and if they are vacuuming it. I was wondering if you could tell me where you found the white attachment between the hose and the manual cleaner head? I have zodiac hoses which refuse to connect with the manual pool head.